I wait a long time for this season to arrive so I can wear all the cozy sweaters while drinking all the pumpkin spice coffee. In my opinion, Green Mountain Pumpkin Spice coffee is the best but there are so many brands on the market these days. Fall is also the ideal time to tackle organization projects! I’ve come up with the perfect way to store all of your circular and double pointed needles or crochet hooks in one easy, convenient place. I just ordered 12 heavy duty vinyl pouches with zip lock tops. They fit really well in a large 3-ring binder and cost only about $29 on Amazon from a company called Store Smart. I labeled my pouches from size US 1-15 so I can find any needle size quickly. I’ve also added a few new fun items to the shop including sock blockers for children and adults, journals, notions pouches, and learn how to knit/crochet kits for children and adults. It’s never too early to start your holiday shopping! 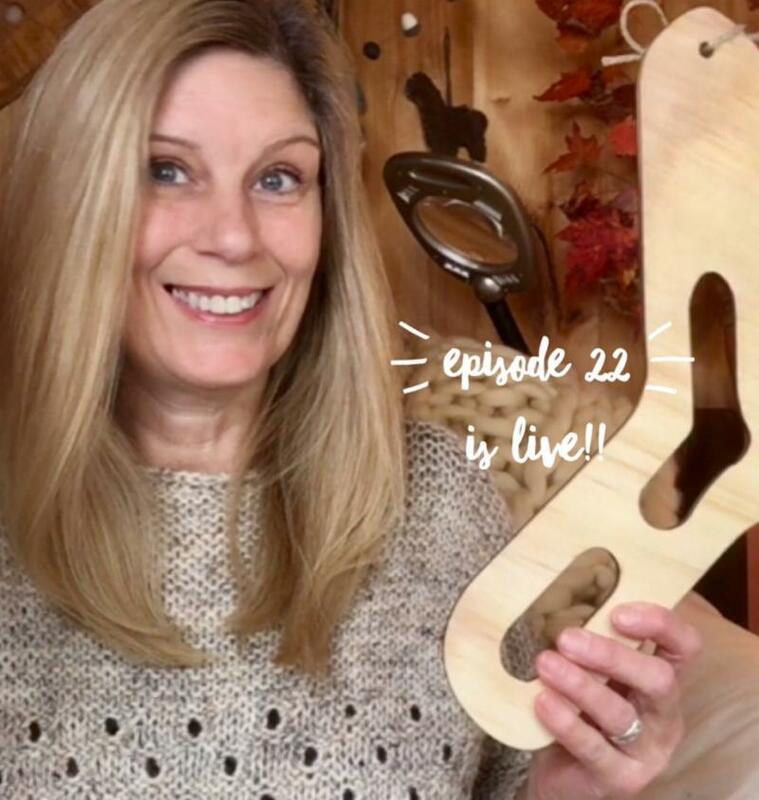 I just released episode 22 of The Autumn Acorn Knits podcast! It’s packed full of crafty goodness.